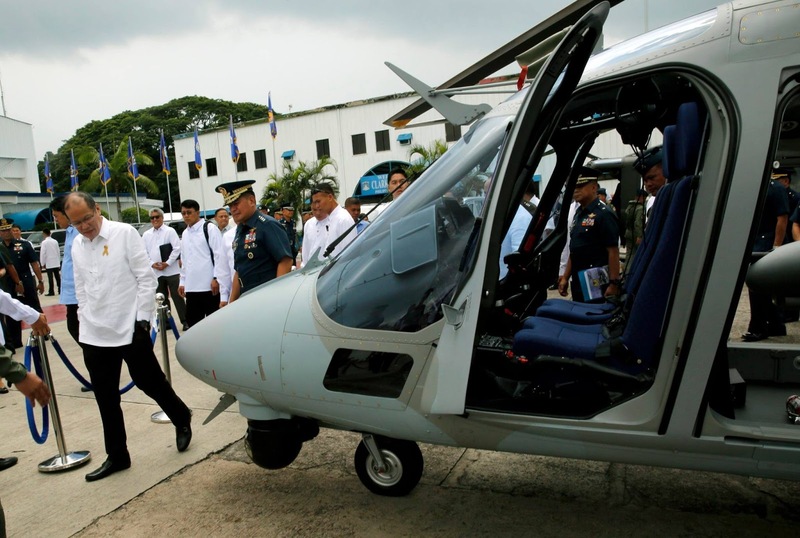 Manila, Philippines - Aside from providing eyes to its parent frigates, the armed AgustaWestland AW-109E "Power" helicopters will also be useful as "air amphibious support" assets, according to Philippine Navy public affairs office chief Cmdr. Lued Lincuna. The latter is an offensive military operation that uses naval ships to project ground and air power onto a hostile or potentially hostile shore at a designated landing beach. The commissioning of the two armed AW-109Es on Monday will coincide with the retirement ceremony of Philippine NAvy flag officer-in-command Vice Admiral Jesus C. Millan who will be leaving the service after reaching the mandatory retirement age of 56.